Proco, Inc. has been manufacturing vacuum trailers and bobtail thanks since 1977, with a full line of equipment in carbon or stainless steel ranging from our oilfield tough "Ranger" trailer to the "Trailboss" available in both ASME certified, and DOT 407/412 certified trailers for flammable and combustible products. The patented Proco "Wrangler" Auger Trailer is designed to carry very high solid by volume products while keeping them liquefied to unload through a 4" outlet. 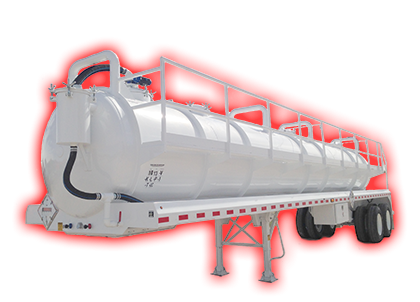 We also manufacture a complete line of bobtail tanks ranging from 10 bbl to 100bbl.